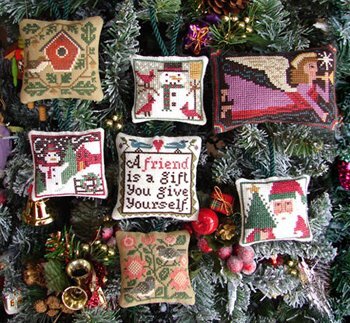 This year I decided to stitch personalized Christmas tree ornaments for my great-nieces. 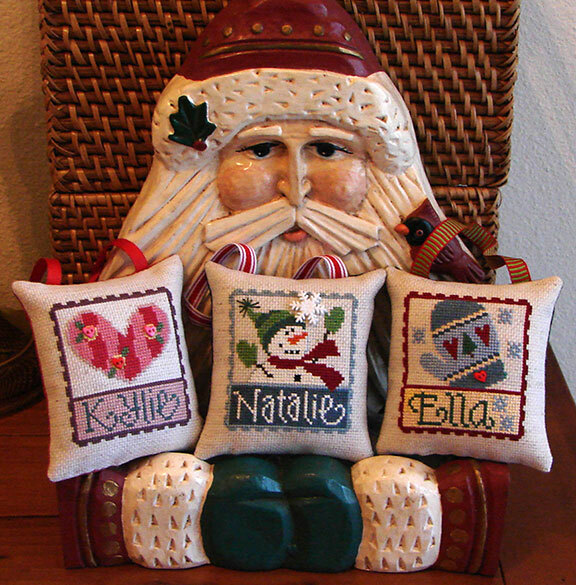 I chose a few cute Lizzie Kate Christmas Club Flip-Its designs from 2006 and had a lot of fun charting out the girls’ names using MacStitch. 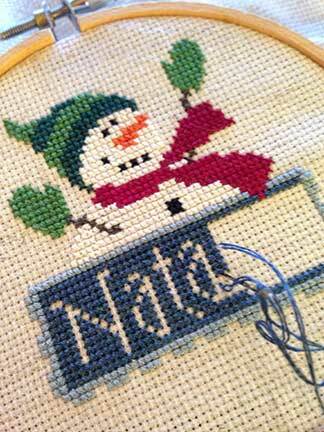 Here’s a WIP picture of the first design mid-name in my hoop. 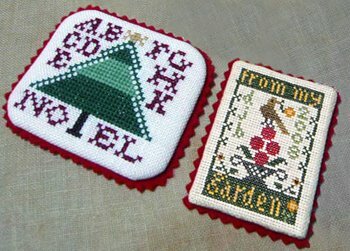 I am actually working on the third one right now and hope to finish it tonight so that I can assemble all three of them this weekend and (fingers crossed) mail them next week.